Mungbean is a relatively new crop in Nepal, so relevant research and development activities are still just emerging. In 2015, the Cereal Systems Initiative for South Asia (CSISA), supported by USAID, started conducting participatory research and development, including market development activities for mungbean in partnership with the National Grain Legume Research Program, millers and seed companies. Mungbean, a short-duration crop of 60 to 80 days’ maturity, fits in well in a rice–winter crops–fallow rotation, reaching maturity just before rice transplanting in July. Mungbean is consumed as dal (soup), used as an ingredient for Dalmot (snacks), Bhujiya, sprouts, biscuits and baby food. Its biomass remains green even after the third picking, and rice yield can be increased by 25% if mungbean residue is incorporated into the soil. Unfortunately, cultivation of mungbean as a spring season crop is not widely practiced by farmers in Nepal. In late 2018, CSISA facilitated a strategic partnership between Poshan Food Product (PFP) Ltd. (a miller), GATE Nepal (a seed company) and local agricultural cooperatives to strengthen the mungbean value chain and market. This partnership has been made possible because of an innovation by the miller in the process of making a baby food called Balbhojan. 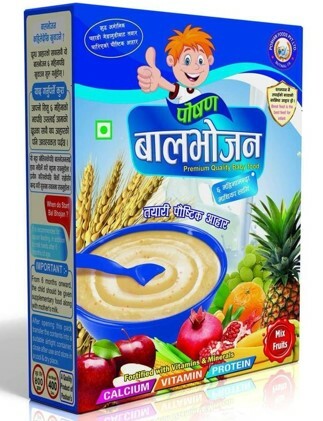 The mungbean-containing baby food, “Balbhojan,” developed by Poshan Food Product Ltd.
Poshan Food Product Ltd. had always prepared Balbhojan by combining wheat, millet and buckwheat. While participating in a CSISA meeting in January 2017, the owner of Poshan Food Product, Mr. Narayan Gnawali, became aware of the health benefits of mungbean and changed the product’s recipe so that it would be composed of 20% mungbean. To fulfill his company’s new demand, he purchased 10 tons of mungbean grain from Banke and Bardiya districts in May 2017. 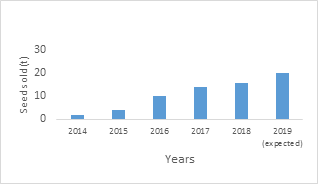 After changing the 1-kg and 0.5-kg packets of baby food to the new mungbean-containing mix, his company’s monthly demand for mungbean doubled within six months, and was four times higher by December 2018. Now the miller consumes 1.5 tons of mungbean every month, meaning that 18 tons of mungbean grain will be needed every year even if their current baby food business does not grow further. 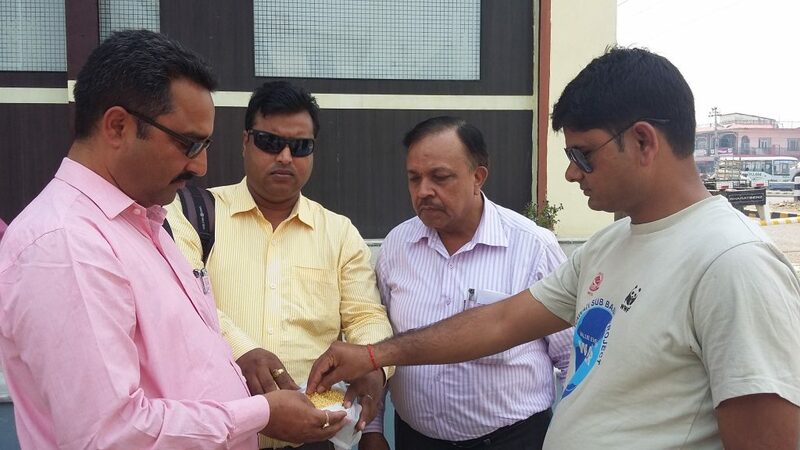 In a recent CSISA meeting, Mr. Gnawali said, “I can buy up to 100 tons of mungbean if cooperatives or seed companies supply me properly graded products.” Now, GATE Nepal has agreed to provide mungbean-grading services using extra graders within the company. Poshan Food Product Ltd. has also started selling graded whole grain mungbean under the brand “Nepali Mung.” The product is used for sprout production and dal preparation. Considering the increasing demand for sprouts in local supermarkets, Poshan Food Product Ltd. is also planning to produce mungbean sprouts starting this year. Seeing the success of the strategic partnership, the government of Nepal’s Province 7 has decided to provide extension support (e.g., seed, irrigation, plant protection) for mungbean growers within a 500 ha area under its soil health improvement program. CSISA continues to provide technical support on better-bet agronomy, mechanization and market development to strengthen the partnership and to support the scaling of mungbean cultivation.